Election monitors said that the candidates of respective political parties and independent groups were not keen on declaration of their assets to the Elections Commissioner in the run up to the parliamentary election. According to the law, candidates are required to declare their assets within three months after handing over nominations to contest the election. Spokesman for the Campaign for Free and Fair Elections (CaFFE) Keerthi Tennakoon told Daily Mirror that so far only 11 candidates including UPFA Gampaha district leader Basil Rajapaksa had declared “The law has given them a three-month period. However, we know according to past experiences that candidates do not care for this law. Most of them do not declare their assets,” Mr. Tennakoon said. 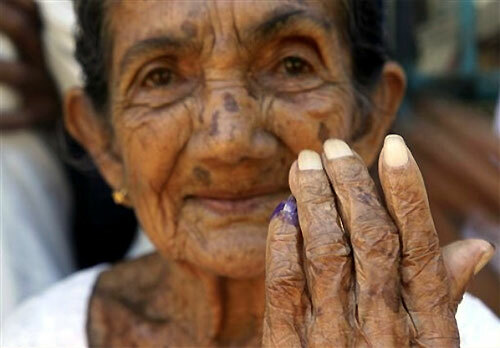 The People’s Action for Free and Fair Elections (PAFFREL) said that Sri Lanka didn’t have strong laws in regard to the declaration of assets by candidates. “If they do not abide by the law in this respect, the Elections Commissioner cannot initiate legal action against them. It is a main loophole in our election law. Candidates creep through it,” PAFFREL Executive Director Rohana Hettiarachchi said.However, he appreciated some leading candidates such as Mr. Rajapaksa complying with the law at this election. “Those who get elected to Parliament have another three month period to declare their assets to the Speaker. In the last Parliament, only three members had done so,” Mr. Hettiarachchi said. The Centre for Monitoring Election Violence (CMEV) also stressed the need for candidates to comply with the law. CMEV Director Dr. Paikyasothi Sarawanamuttu said that his organization would not be hesitant to take legal action against anyone who violates the election law. “We will highlight such issues to the public,” he said.